Pine Street Carpenters was awarded a DelCY award by the DelChester Chapter of NARI (National Association of the Remodeling Industry) at the organization’s annual award ceremony held on January 21. Each year, members of DelChester NARI submit entries to the group’s annual DelCY (“Contractor of the Year”) awards competition. Winning entries demonstrate remodeling excellence, and entries are judged on functionality, problem solving, aesthetics, craftsmanship, innovation, and degree of difficulty. DelCY Awards were given out to several NARI members for various categories. Pine Street Carpenters was honored with a 2015 DelCY Award for a whole-house remodel in Chadds Ford. 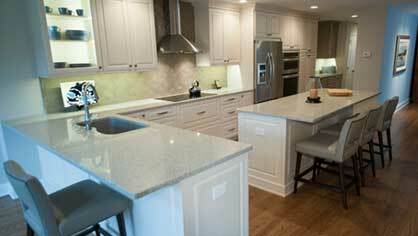 To learn more about this project, which featured a new kitchen and master bath, see this feature in Main Line Today.